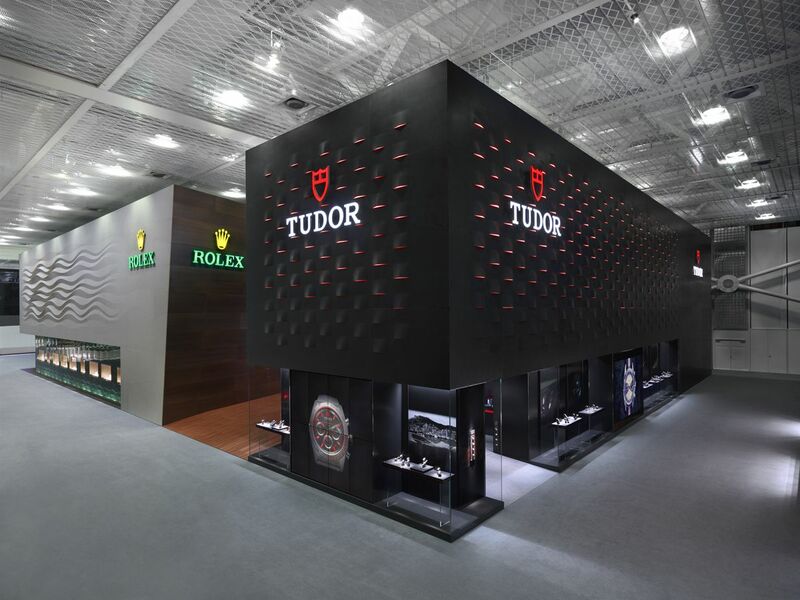 For me, in particular, this was very much a Tudor Baselworld. 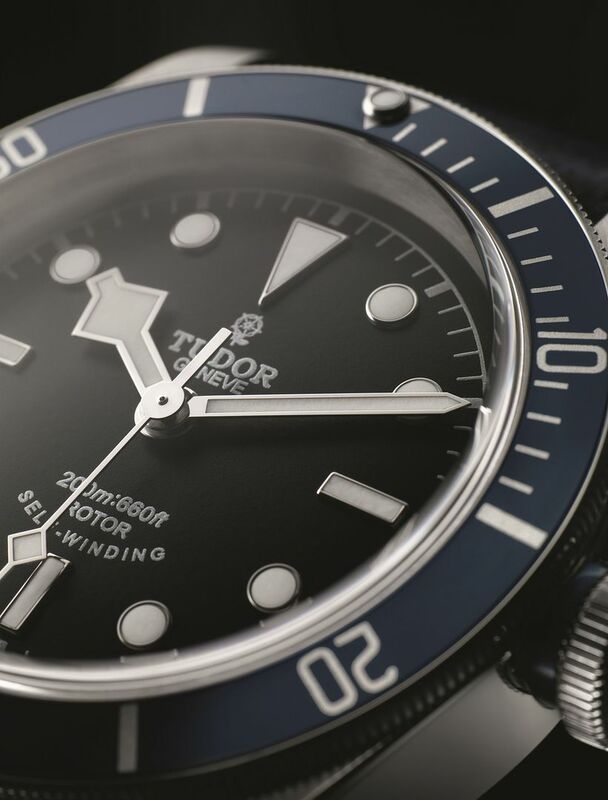 I had dinner with the Tudor team on the Tuesday night before the show and spent more time on their stand than on any other; I suppose it helps that I like (and get on with) the folks who are now in charge of the brand. 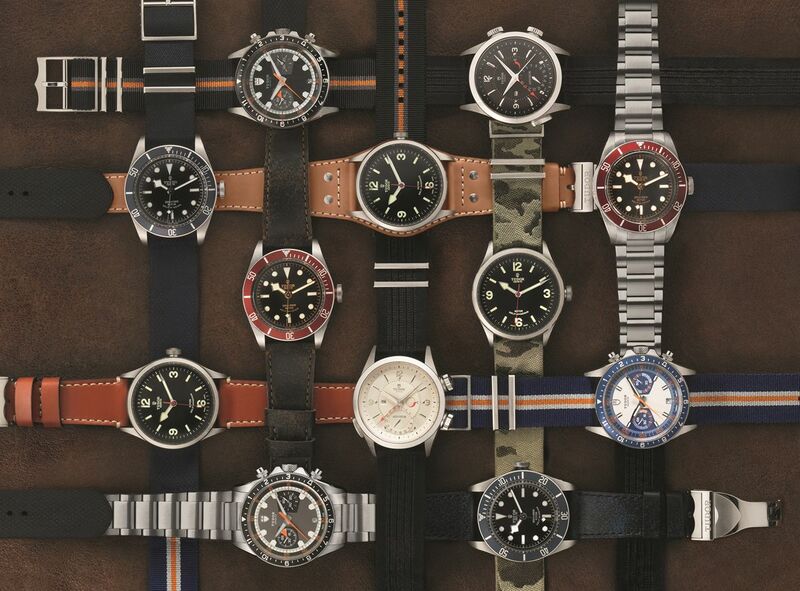 A giant photographic montage of the Heritage range, to date, and sitting proudly in the image are Tudor's two introductions this year to the range; the Blue Black Bay and the undoubted star, the Ranger, so I will talk about that one first. Always seen as the affordable alternative to the Explorer, the original Ranger had plenty of other attributes apart from its price; slimmer than the 1016 and with hands used by no other model, it was instantly recognisable. The new version takes all the style cues from the original model and repurposes them in a more contemporary 41mm size; both the dial and the crystal are domed; speaking of the dial, it has a matt finish and the Luminova indices have a gorgeous beige colouring. 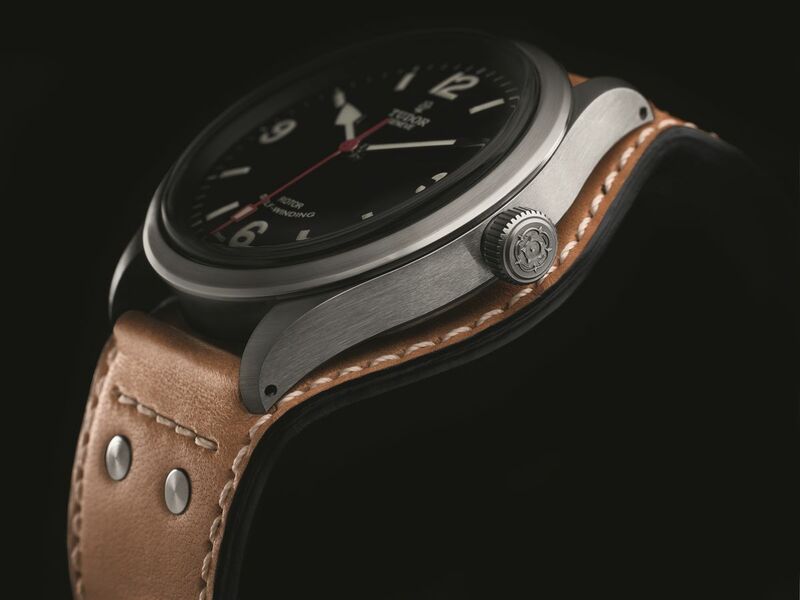 It also features the original Tudor Rose logo, as used on early Tudor models and a red sweep seconds hand with its unusual rectangular luminous insert. 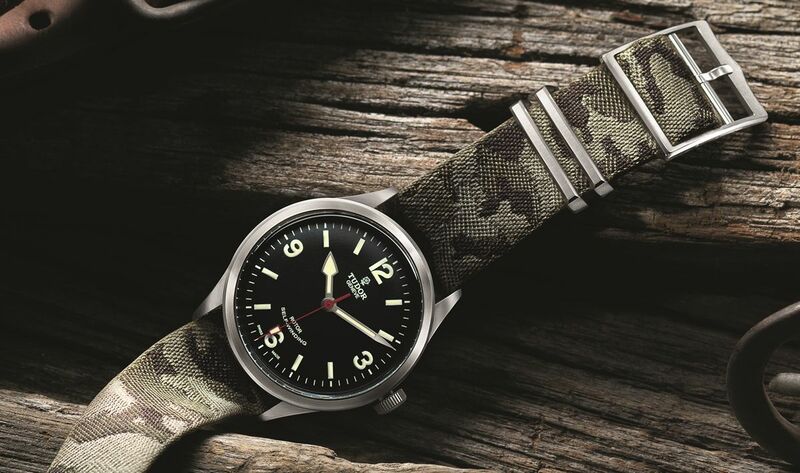 It is available with four different straps, a metal Oyster style bracelet, a fabric strap in a camouflage pattern (the pattern will never wear off, as it is not printed into the fabric, rather it is woven into it) and two leather straps, a vintage looking one with conventional spring bar attachments and an unusual one in saddle coloured leather whose design is based on that of the German Military 'Bund' style, where the leather goes under the watch itself, so as to prevent the leather chafing the wearer's wrist, the back of the strap is lined with Alcantara (an artificial suede like material). 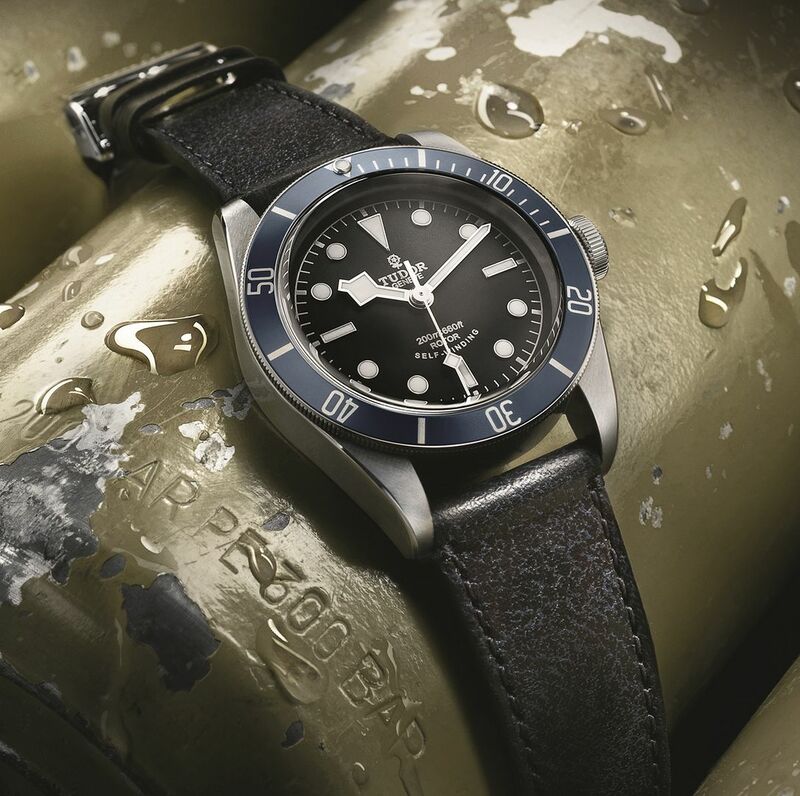 The new version of the Black Bay has only a few changed details, but it is quite amazing how much difference they make, firstly the dial print is silver, as are the watch hands (not the warm pink gold of the first version) and the new midnight blue anodised bezel insert matches perfectly with the colour of the tube for the winding crown. As before the watch can be bought on an aged leather strap, in this case in a very dark blue, or on an Oyster style bracelet, whichever version you choose, it will also be supplied with a woven fabric strap. 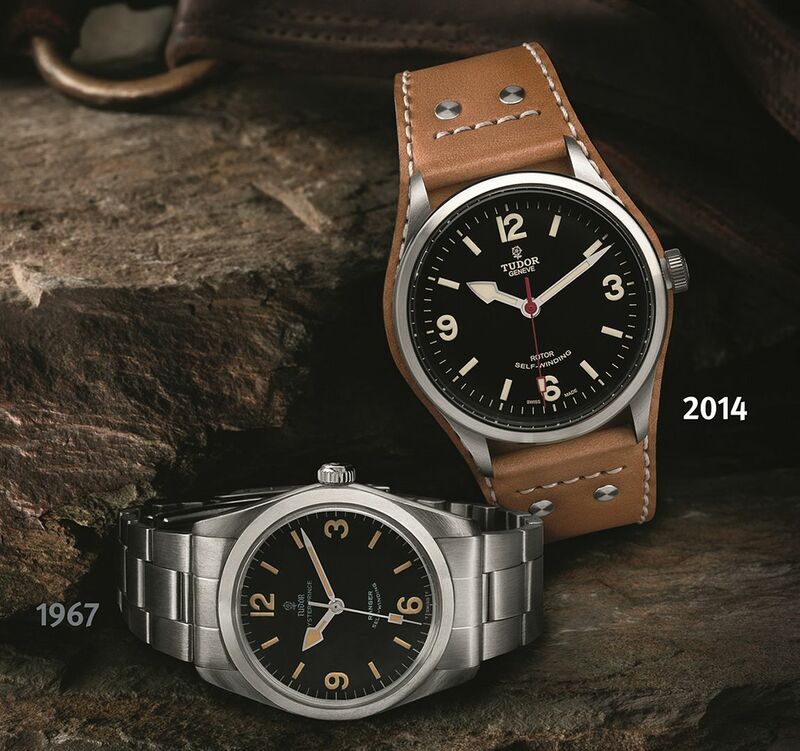 Whilst the Heritage introductions have stolen all the publicity and praise, the truth is that the much more low key introduction of the new Style line from Tudor which will have the biggest effect on the sales numbers. 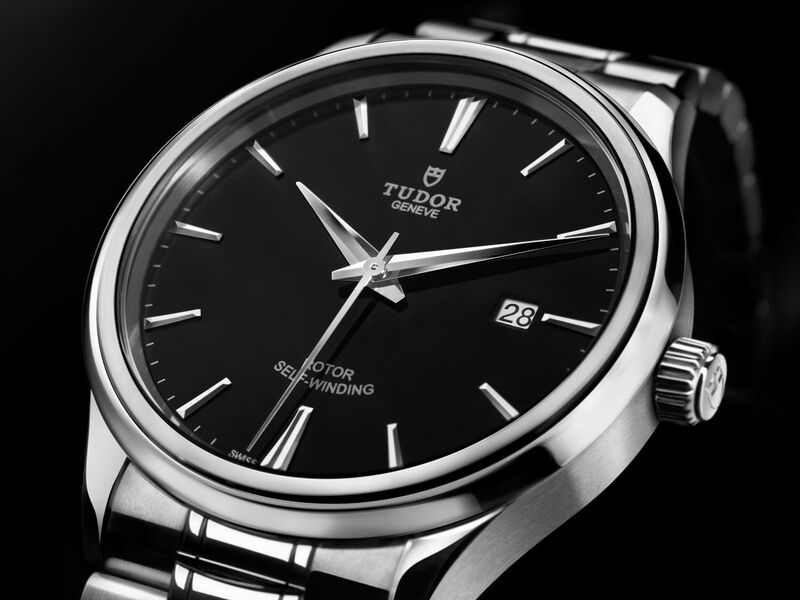 Simple, classical and elegant are not words we often apply to Tudor, but in this case they are perfectly applicable. Available in four sizes; 28/34/38/41mm and three dial colours, glossy black lacquer, champagne or sunray finished silver; all with date and a unique double stepped bezel with both polished & brushed finishes. They all have domed sapphire glasses, screw backs and screwed crowns giving them a 100m (330ft) water resistance. 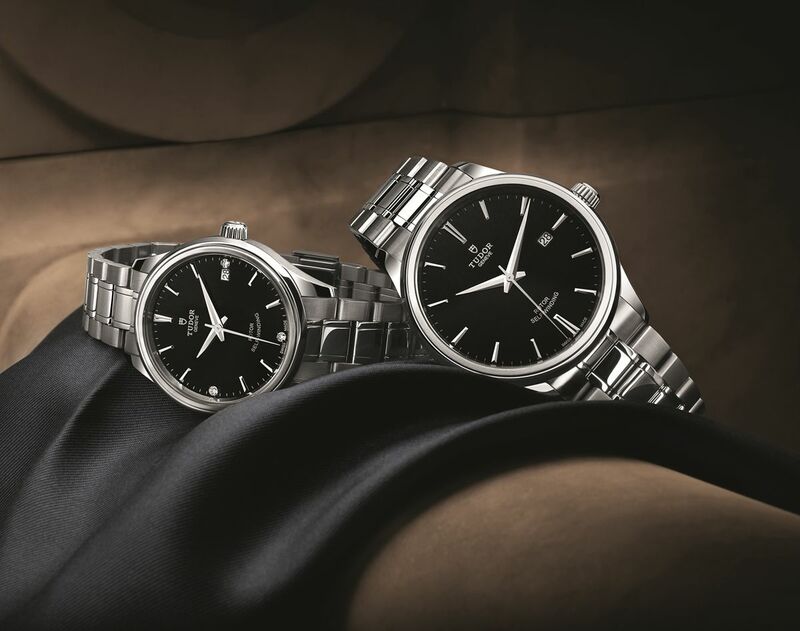 The prices are expected to be in the low $2,000 range; so I expect these watches to do considerable damage to the sales of brands such as Tissot and the lower reaches of the Omega range; I prophesy great success for them. Previous Topic: A thank you to Jorge Merino for all the new watch info!